In 1986 the elderly residents of a district of south London were terrorized by Kenneth Erskine, earning him the nickname the Stockwell Strangler. 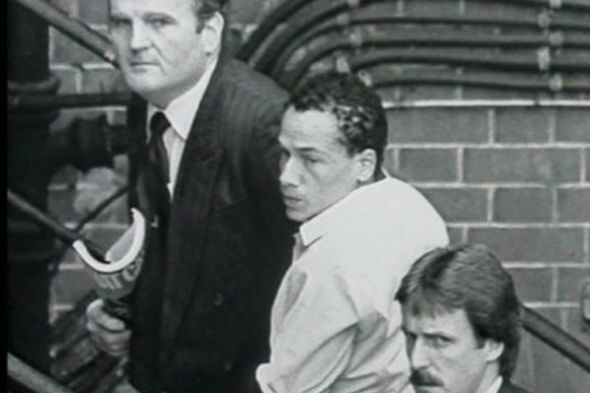 Born in 1962, West Indian Erskine struck for the first time on 9 April 1986, killing 78-year-old spinster Nancy Emms. She had been strangled and subjected to a horrific sexual assault before being laid out as if for burial at her unkempt basement flat in West Hill Road, Wandsworth. On 9 June 68-year-old Janet Cockett was discovered naked in her bed in her flat on the Overton Estate, Stockwell, having been strangled. A palm print and a smudged thumbprint were found at the flat. During the early hours of 27 June Erskine attempted to murder retired engineer Fred Prentice in his room in a council-run old people’s home in Cedars Road, Clapham but was scared off when Mr Prentice managed to raise the alarm. The next night Erskine sodomized and murdered 84-year-old Valentine Gliem and 94-year-old Zbigniew Strabawa in their adjoining rooms at Somerville Hastings House, an old people’s home in Stockwell Park Crescent. After the murders Erskine had a wash and a shave at the home. Ten days later, Erskine murdered and sexually abused William Carmen, 84, on the Marques estate in Islington, north London. Almost £500 was missing from the flat, the first time a robbery had taken place as well as murder and sexual assault. On 20 July, Erskine struck again, strangling William Dowries, 74, at his home on the Overton Estate in Stockwell. This time the police found a clear set of palm prints. It took the police three months to link the prints to Erskine, despite his long criminal record. On 24 July Erskine struck again, killing 83-year-old widow Florence Tisdall at her home in Ranelagh Gardens, Putney. She had been strangled, sexually assaulted and her ribs broken when Erskine knelt on her chest. The police discovered that Erskine was on the dole and when he turned up to sign on at the Department of Social Security office in Southwark on 28 July, he was arrested without a struggle. Police questioned Erskine about the murders but he spent much of the time giggling, staring out of the window into the sky or masturbating. He told police a voice in his head told him to kill, “It tries to think for me. It says it will kill me if it gets me. It blanks things from my mind.” Erskine went on trial at the Old Bailey on 12 January 1988, charged with seven murders. After 18 days, he was found guilty and told he would never be freed. On 23 February 1996 he saved the life of Yorkshire Ripper Peter Sutcliffe (search the related post) in Broadmoor when Paul Wilson tried to strangle Sutcliffe with the flex from a pair of headphones. On 30 November 2007 Erskine’s sentence was changed to 40 years after psychiatrists diagnosed him as schizophrenic. Erskine almost certainly murdered Wilfred Parkes, 81, on 2 June 1986 and 75-year-old Trevor Thomas in the bath of his home in Barton Court, Clapham on 12 July 1986. He has not been charged with either murder.